Is Barcelona’s alternative shape really a 4-2-4? Pep Guardiola’s Barcelona side have generally played with a 4-3-3 since he took over nearly two years ago. His natural ‘plan B’ last season was to switch his striker, Samuel Eto’o, with his outside-right, Lionel Messi. Barcelona aren’t able to do that this season, because Eto’o has left the club, and been replaced by Zlatan Ibrahimovic – a magnificent player, but one who would be uncomfortable being deployed in a role away from the centre of the pitch. This has meant that Guardiola’s alternative formation has had to change, and he has been experimenting with a system with one traditional striker dropping deep, with a supporting cast of three – composed of Messi, Pedro Rodriguez and Andres Iniesta. 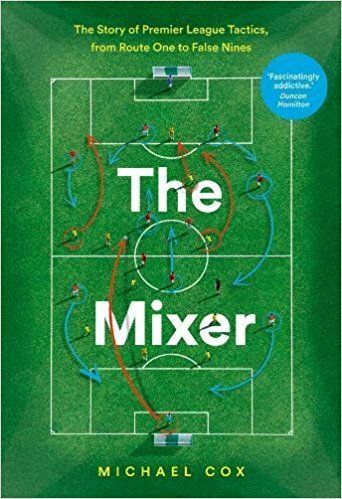 As with a lot of unusual formations featuring versatile, technically-gifted players, it’s sometimes difficult to describe the formation in the traditional fashion. Against Valencia, this site described it as ‘a loose 4-4-2 / 4-2-4 / 4-2-3-1 shape’, before going onto slightly more confidently define it as a ‘4-2-4ish formation’ in the defeat of Stuttgart, which some commenters objected to, saying it was more of a 4-2-3-1. The reason it has been decided here to label it a 4-2-4 is simply because the striker, Thierry Henry, plays so close to the three midfield runners. Indeed, the way he drops deep in something approaching a ‘false nine’ role means Pedro, Messi and even Iniesta were often ahead of him when Henry got the ball. The fact that Henry’s role was different to the other three – more of a hold-up role than as a dribbler – means he could have been interpreted as playing as a traditional lone striker, but in positional terms there was not much separating Henry with Iniesta, Messi and Pedro, as shown below. As you can see, Henry’s position was very close to that of Messi, and of Pedro Rodriguez. Andres Iniesta plays deeper, since he is a more natural midfielder than a striker, but otherwise the front four are on a relatively similar ‘band’. It would be silly to argue that this shape resembles a 4-2-3-1 because it would be implying that Messi is playing on a ‘line’ closer to Iniesta than to Henry, which is plainly not the case. Here the line of ‘three’ behind Fernando Torres is much more pronounced, and the wider players play much more narrowly than in Barcelona’s shape. The central one of the three, Steven Gerrard, is directly behind Torres – whereas in the Barcelona example above, Henry is clearly playing left-of-centre and Messi is playing right-of-centre, suggesting that those players are effectively a ‘front two’ rather than Messi playing directly behind Henry, in a separate band. And with the wide players playing extremely high up the pitch, it is certainly more of a 4-2-4 than it is a 4-4-2. That is not to say that it is identical to a classic 4-2-4 from 40 years ago, although Roberticus makes a great point in comparing it to the shape of Brazil from the 1970 World Cup. To some who saw that side in action, describing this formation as a 4-2-4 might seem ludicrous, but the players fulfil very similar roles, even if they play slightly deeper. And different formations change over time. The 4-3-3 that England effectively played to win the World Cup in 1966 is nothing like the 4-3-3 played by Jose Mourinho in his time at Chelsea, for example. But this formation is incredibly different to the 4-2-3-1 shape – it is more offensive, more free-flowing and the front four have very different functions. To describe it as yet another 4-2-3-1 doesn’t do justice to it, and so this site will continue to describe it as a (modern) 4-2-4. Great post, and agree about it being better described as a 4-2-4, but what I really want to know is: where did you get the UEFA average position diagrams? Oh go on then. 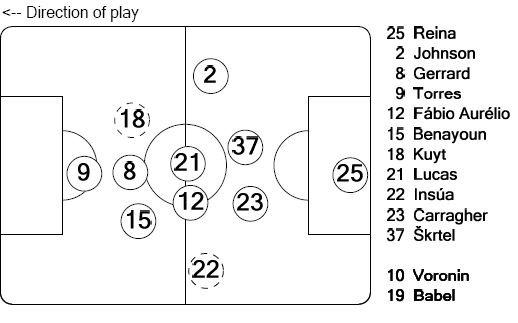 http://www.uefa.com/uefa/mediaservices/presskits/index.html – the PDF file under “TL” shows the average position diagrams. It’s collected by Opta and used by Uefa…. 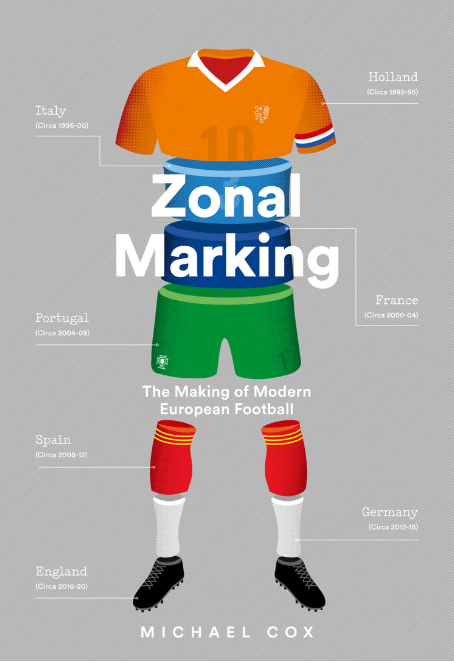 Zonalmarking, it’s your website so you don’t need to justify yourself to anyone….if you want to call it a 4-2-4 then that’s your right! That’s a very convincing article though. On a pedantic point, did you know one of the teams on your tactic board image only has 10 players? Both boards have 11 players but never mind that. I would say that the beauty of this website is in trying to explain the way in which a team work/ed using a reliable data and a sound argumentation. Precisely what we lack in typical football (and not just football) reporting where we often tend to get news better suited for yellow pages,not to mention biases and stereotypes football reporting is often full of, than tactic teams use on the field. Having that in mind, I wouldn’t call this post a justification, I would call it a argumentation pro his thesis. And precisely because of that type of presentation this football site is great to read. and I’m referring to the board at the top of the page at the header section of the website….but again, that’s only Tongue in cheek. Great website and I love the in depth, accurate and intelligent analysis of matches and teams. Indeed. Presumably one side had a man sent-off? Either way it was from google images, not made by me, so I’m blameless! I agree. Football tactical analysis on live television is virtually non-existent. Extremely superficial and glossy, concentrating only on the big named players and their impacts and past results have been the order of the day for quite some time now. I was recently blown away by the in-depth analysis the NBA(national basketball association)provided for its TV viewers. Dumbing down football coverage for the benefit of the average audience isn’t going to help anybody. Would be preposterous to think that the reason Iniesta is so far back (in addition to the fact that he is a natural mid) is that Pep wanted better cover for Maxwell on the left than he thought was necessary for Alves on the right with Pedro? I’d call it a 4-2-2-2 then, but it hardly matters 4-2-4 works too. I’d like a link to the average positions too. The Iniesta position is further back (I think) because of his switch in the 2 nd half when Ibra came on. iniesta moved into central midfield and the diagram records the average positions over the duration of the match. Yeah, Kamikaze’s reason is probably right. Busquets got injured so Iniesta dropped in. However he certainly played deeper throughout the game, nevertheless. IF you subscribe to Barca’s channel on youtube, in his interview after the Stutgart match Iniesta said their second shape used 4 in midfield. That opens up a whole other can of worms doesn’t it? What is obvious that it definitely is a plan B! Great article and thorough analysis. Agree that it resembled a 4-2-4ish shape. With the movement of Messi, it probably switched between the 4-2-4 and 4-3-3 in some stages of the match. But for all intensive purpose, it was a 4-2-4. Love this site- like the quick analysis. Iniesta is slightly dropped off in this diagram from ESPN, almost linking with the midfield two. Whatever the outcome it’s a very flexible formation. Using graphs that show “average position” are very useful, but as kamikaze points out, they don’t always give an accurate representation of the tactics being employed. For example, a player who splits his time on both sidelines, but always hugs the line, might show an average position somewhere in the middle. Or perhaps more to the point here, if a winger continuously drops back to receive the ball, and at the same time a fullback on his side continuously overlaps him, they may have the same average position, but it would be incorrect to make the conclusion that they are both playing on the same line. Finally, the tactical intent of the coach and the team in terms of shape, and where the players actually wind up spending time as they try to solve the problems of any one game, can be quite different. So maybe Pep called for Barca’s version of a 4-4-2, but the way it played out leaves much to interpretation. Perhaps their intent was to play 4-2-2-2 or maybe a diamond midfield, something like a 4-3-1-2 with one forward playing wide on the right, and Iniesta sliding left to give defensive cover since there wouldn’t be anyone to press the fullback on that side. And ironically Messi found the most space to the right (the side most crowded with attacking intent) where the fullback was already engaged by Pedro, and Alvez was occupying the side mid. This does not invalidate ZM’s depiction of it as a 4-2-4, because I think he does accurately explain the movement of the players and their positional relationships to one another and the ball. Whether you call Messi a second striker or an enganche doesn’t really matter. You could make sound arguments for both, but if you want to actually start a dialogue about it you have to pick one and start talking. I agree 100% with your first two paragraphs, but that wasn’t really the case in this game. The wingers didn’t switch wingers throughout the game, and Messi and Henry were playing in those positions throughout the game. The ‘average position’ shown here is very similar to the diagram in the Barca v Stuttgart write-up. It’s certainly not wise to take the average position graphs as gospel, but in this case I think it’s useful. The heat maps might provide a more accurate representation. You can find them on espn-soccernet gamecast. Click on “Match Action” and then select the relevant tool from the drop down menu. Great site anyway. I stumbled on it yesterday and am just reading through the Decade in Review section. Fascinating stuff. In all fairness, all perspectives of this marvelous tactical shape can be argued for or against, but let me argue with my biased and unique viewpoint. First off, besides the Henry/Messi debate, let’s make it clear that both Busquets and Toure (and Xavi at Valencia the weekend before) weren’t sitting in midfield. It’s obvious that both Xavi and Toure were free to scamper box-to-box Gerrard-style. To group just the midfield and defense it should technically read as 4-1-1. Now for Messi/Henry debate, in playing style aspects alone, it’s clear that Henry isn’t mainly a “back-to-the-goal” striker. 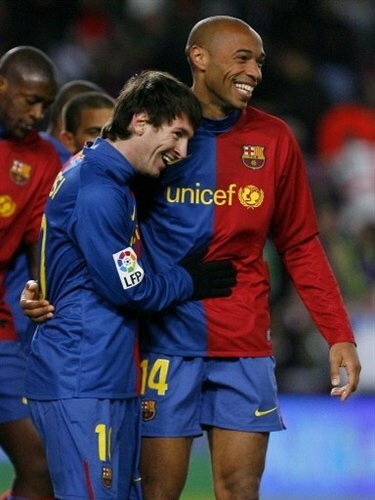 So it’s very correct to say that Messi and Henry were operating side-by-side as double false nines/number 10s. In that essence now, arguing for the 4-2-4ish shape also does no justice since there isn’t a focal point above the gang of attacking 4 and it’d read, to the uninformed football fan, as 4 out-and-out strikers. To be technical in calculation now, Barca’s starting shape is effectively a 4-1-1-4-0 (I’m not even going to start talking about the full-backs technical position to save time). Though intriguingly, after all 3 of Barca’s were on, it was effectively a, more seemingly balanced on paper, crossbow-esque 4-1-1-3-1. I was looking forward for your article, but I was expecting better. If it’s silly to consider it 4-2-3-1 then I don’t know what it will be to consider it 4-2-4. I won’t go there anyways. Just in a funny way, if you measure the distance between Gerrard’s line and Torres’s line, its shorter than the distance between Iniesta ‘s line and Henry’s line (in the two pictures you are considering as none negotiable evidences). So if we will go by that logic, I rest my case. 1)	You compared the distances between lines taking Liverpool formation to that’s of Barcelona. You neglected one of the most essential factors, the selection depth. Barcelona push the field forward, most of their players operate in the opponent half even when they lose possession. That squeeze the lines in a way you don’t see at Liverpool where the lines is relatively more distanced. If Barcelona spread their lines in front the same as Liverpool does while their defense keep their traditional positioning, Messi will have to play behind Yaya. 2)	“The reason it has been decided here to label it a 4-2-4 is simply because the striker, Thierry Henry, plays so close to the three midfield runners.” That only happens while setting offense, not in the buildup stage. Yet, in the final third, Alves plays as close to Messi (inline) as Pedro, and lot of times more than Iniesta. Yaya was in front of Messi in the first two goals as well. Analyze that. 3)	You confuse player’s roles with team dynamics. Those are two different things. Who was responsible of moving the ball forward? Who essentially did the playmaking? Who lead the buildup process? Then, who was dancing between the opponent defenders during buildup (NOT IN SET OFFENSE)? That’s how you identify lines, not by print-screen. 4)	Defense through 4-2-4 will be catastrophic, buildup based on two midfielders will be pathetic, offense with four positioned forwards turns too static, that’s why the 4-2-4 is historic (as it doesn’t fit modern football). 5)	In the diagrams link above (in the menu) you mentioned the following about tactical structure:” They show the players in their ‘actual’ positions on the pitch, generally in the defensive phase of play. Any significant changes when in possession are depicted by movement arrows.” Watch the game again and tell me when during the game the team had this structure while the opponent in possession. You can easily pick a segment of time (minute X, Minute Y). Never happened. Barcelona game is based on triangles. Put the 4-2-3-1 and 4-2-4 on two separate papers and try to draw your triangles. Again, no one expect the team to be locked in numerical structures but at least the structure has to reflect one of the game conditions, which is obviously not the case here. You can call it 4-2-4 if you like the notation (and it’s catchier, no doubt). But it’s not silly at all trying to correct you. Especially when the mistake is that bold for a blog that focuses on tactics. He is not silly at all, by the way. I disagree with pretty much everything you say there! Again, your problem with the 4-2-4 is because you are fixated that a ‘4-2-4′ has to be exactly the same as the 4-2-4 as it was known in the 1970s. It is not. Forwards today play significantly deeper than in those days, and this side essentially plays without an out-and-out striker, what with Henry dropping deep. In that sense, the formation is probably closer to 4-2-4-0. But the “-0″ seems scrappy and (I think) should be avoided, so 4-2-4 is a better notation. But this seems to be your main problem, that a side with four ‘positioned forwards’ will struggle. This side doesn’t have that, but it doesn’t mean that it isn’t a 4-2-4, it’s just a modern interpretation, as I said at the end there. Of course, two midfielders alone would struggle, but with the full-backs playing so far forward (almost in midfielder), the side becomes 2-4-4 in attack. We don’t need to go that far to express it, as we all know that full-backs are very attacking these days, but this exactly matches up a 4-4-2, so Busquets and Toure would not necessarily be overrun. I don’t have the game available to watch again, sadly. But the ‘average position’ graph above is extremely similar to the diagram in the Barca v Stuttgart match report (and my diagram was done and up by 10:00pm, whereas UEFA’s Press Info comes out at midnight-ish, I believe). The average positions should not be taken as gospel, but they clearly reflect the way I believed the positions to be unfolding during the game. Henry left-of-centre. Messi just behind him, right-of-centre. Pedro further behind, on the right. Iniesta yet deeper, on the left. I don’t have a minute in the game to find where the players lined up in that shape (I’m afraid my notes aren’t that detailed) but it squares pretty well with where the players were recorded as being positioned throughout the game, which is good enough for me. Finally, the point about football-lineups.com would be a very good one, but sadly this is exclusively because if you look at their tactics page ( http://www.football-lineups.com/tactic/4-4-2 ) the system simply doesn’t allow sides to be set out into a 4-2-4 shape. But this is what the site was set up for, to debate about formations and tactics. I completely disagree with the idea of it being a 4-2-3-1, but it’s great to see the other side of the argument. “My intention was to pressure and to try to steal the ball high up the pitch,” he explained. I’ve been reading for a while but haven’t really posted yet. Good job on the blog. I rewatched the game closely tonight to do some research for an article and sure enough, Busquets and Yaya were rarely on the same line. When playing the ball out, the tacitc to counteract high pressure has been the same for a while now: the two fullbacks push up to push back opposing wing players while Busquets drops very deep as a third CB while another midfielder stands ready to drop into space if one of the opposing mids trys to pressure Busquets. In effect, transitioning the ball, it looks like a van Gaal era Ajax 3-3-1-3. Pep was also right regarding the wingers. Barca has always been a wing oriented attack under Pep. Almost ewverything starts from there. It serves to open spaces in the middle. The dynamic on the left wing was fascinating. Yaya, Iniesta, Busquets, and Maxwell all interchanged positiong at once. The possession sequence leading up to Pedro’s goal is beautiful. Celozzi (Stuttgart right FB) was not simply caught staring at Messi when Yaya crashed from behind him. He was confused as hell to see Iniesta on the right, and Maxwell providing diagonal cover. I’m gonna right something more thorough for our blog but if you can find it in some highlights, have a close look at that sequence and look at the position shifting between Busquets, Iniesta, Yaya, Messi, and Maxwell leading up to the Pedro goal. The positions and roles are the same, its the playrs that change. Regarding formations, Barca has been hard to pigeon hole for a while now. Besides all the different looks according to phases, as Guardiola’s tenure went on, we’ve seen more and more postion interchanging among midfield and forward line players. Barca’s high pressure is also based on an overload scheme which is also rather unconventional. The common denominator are always width, short distance between the the lines in transition, and diagonal cover. I can see where my good friend and fellow culé Ramzi is coming from. I made the same mistake back in December looking at the Depor game http://www.barcelonafootballblog.com/1994/anatomy-goal-424-goodness-edition-barca-depor-tactics-messi-ibra-xavi/ It is a rather confusing look because of the winger dynamics and position shifting that goes around. I’m gonna have to watch that game a few more times. What impressed me the most on second viewing was the effectiveness of our pressure. A night and day difference in comparison to the first leg. The possession per se was actually sub par by Barca standards. However, the way the team took advantage of spacing and covered counter attacking lanes resulted in a dominating performance. Anyways, enough ranting. Good discussion, guys. For the record Hector, in my first comment (Stuttgart post on this blog), I made that same remark that Pep mentioned. It’s NOT a 4-2-3-1 either, as Yaya and Busquets were NOT playing on the same line, and most importantly, they had to play their basic roles on different layers in the selection. The structure was swinging between 4-1-4-1, 4-2*-3-1, and 4-1-3-2 (putting the offense setup aside to neglect fullbacks movement) . It’s what I call a “slanted 4-3-3″, as though someone’s taken a conventional 4-3-3 shape and tipped it on its side slightly. You still have the 2 banks of 3 ahead of the defence, but they both have the most attacking player to the left, with the supporting cast opperating in staggered positions to the right – like a zig-zag. Manchester United have certainly toyed with a similar idea this season and in the past, although with a starting point of 4-4-2. They tried it earlier on in the season with a midfield of Giggs-Anderson-Carrick-Fletcher, with Berbatov and Rooney up front. When the system evolves during the game, Giggs pushes forward to play as a genuine forward from the left, with Fletcher tucking into his normal role as a central midfielder on the other side. Anderson would then have the freedom to drive from deep to complete the attacking shape. To call it a 4-2-4 is fair enough, but it gets to the point with some of these formations that it’s less confusing to just describe the individual roles rather than even bother giving the formation a set name. As has been demonstrated, you could easily label it as just about anything. First post here, nice site. As for the article, I think you guys are getting too bogged down in the numbers and are missing a very important question. Why did Pep decide to employ this system? What was wrong with the 4-3-3 that pushed him to use this system? It’s no coincidence that the move to this system has coincided with Messi’s best moment of the season. This system seems to be designed to create situations where Messi is receiving behind the DM and to allow him to create from that scenario. Guardiola, by the way, has said in post match interviews that he views the system still as a 4-3-3 but he includes Messi as part of the middle 3. Interesting to hear that point of view. The article was in response to the comments on a previous article which questioned the use of terming it a 4-2-4 – hence a post to explain it. Sorry, I didn’t mean to sound like I was making a complaint, just trying to introduce another way for the topic to meander!! Barcelona is full team in the world because pressur ic exellent, passes is exellent , offside trap in match is very strong………….